Adam Rowan is the fitness coach at the academy for the U9s to U16s groups. Adam arrived at Liverpool FC in October 2016. He was at Bolton Wanderers for four years and also spent two years with Newcastle United. He completed a BSc in Sport Science at the University of Central Lancashire and a MSc in strength and conditioning from the University of Salford. Adam is also accredited by the International Society for the Advancement of Kinanthropometry (ISAK). 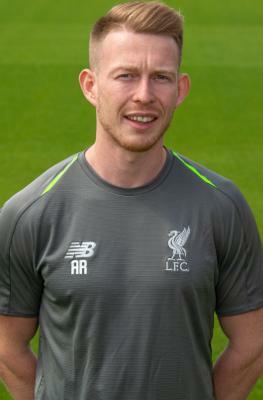 Commentating on his duties in Kirkby, Rowan said: "My role is to provide a long term athlete development programme across the U9-16 age groups, and promoting elite habits in the players throughout the age groups, to maximise their potential and ensure standards are consistently high is another key role of the job. "I am delighted to be working for such a huge football club, one that I support."